During the second day at Arabnet this year, Elie Aoun, the Regional Manager of research firm Ipsos shared a few statistics that revealed the state of internet and mobile penetration in the Middle East and North Africa. The study covered 6 Arab countries: Saudi Arabia, Egypt, Jordan, the UAE, Lebanon and Kuwait, offering information based on face-to-face interviews with more than 22,000 participants. One startling fact that the study highlighted was that Egypt has the lowest rates when it comes to internet (26%), smartphone (5%) and electronic game penetration, and the second highest rate in social network penetration (79%) and online auction sites (35%). This data differs from Google's estimate that smartphone penetration reaches 26%, but either way, there's a huge opportunity for growth. Internet penetration in the Middle East and North Africa is 39%. The UAE has the highest internet penetration rate at 75%, followed by Kuwait at 64% and Qatar at 61%. Egypt has the lowest rate in the region at 26%. Jordan has the highest rate of daily news penetration across internet users at around 37%. Saudi Arabia has the highest rate of online television watching across internet users at 25%. Egypt has the lowest rates of radio (3%), TV (6%) and online newspaper (7%) penetration. Jordan has the highest penetration of social networks across internet users, at 88%, and Lebanon the lowest at 47%. 53% of e-commerce spenders in Kuwait and 49% in Lebanon used e-commerce for money transfer, while in the UAE, 54% of e-commerce users bought airline tickets, and Egypt marked an aggressive number of 35% for online auctions, versus the second highest being of 6% in Saudi Arabia. Saudi Arabia and the UAE have the highest rates of smartphone penetration at 63% and 61%, respectively, while Egypt has the lowest at 5%. Lebanon has the highest rate of mobile app downloads, with 70% of internet users having downloaded at least one app, while 40% of internet users download news and feeds. Egypt and Jordan are tied for the lowest rates of mobile app usage at 49%. Unsurprisingly, the highest usage of online streaming services is in the UAE (54%), while the lowest is in Egypt (15%); movies are generally streamed more than any other type of content. Music, games and video are the three most downloaded types of online content. 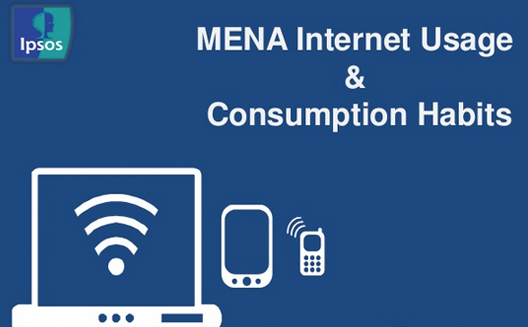 In the aggregate, 63% of UAE’s internet users download these three types of content, while only 23% do so in Egypt. Jordan has the highest rate of electronic game use across its entire population, at 40%. 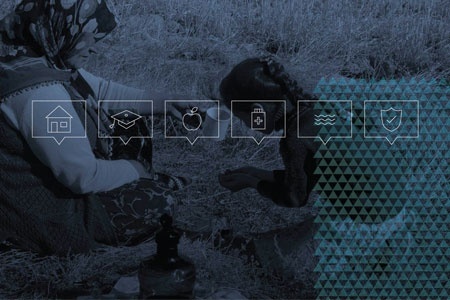 87% of internet users across the Middle East and North Africa access the internet from home.